Jennie’s books can be grouped into two categories: the books and packages that are associated with Planned Purity Training Systems, and her individual books of all types. 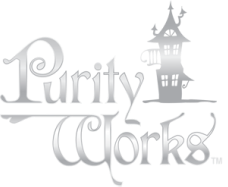 ﻿Click here﻿ to see a flow chart of how the Planned Purity Training System works, and which books are included in packages for families with boys, girls, or both. Then you may go directly to the bookstore to order books in exchange for a donation to PurityWorks. Click here to enter the bookstore, where all Jennie’s books for children and adults are listed singly and in Planned Purity Training Systems packages.